Little, Brown Books for Young Readers, 9780316134026, 432pp. 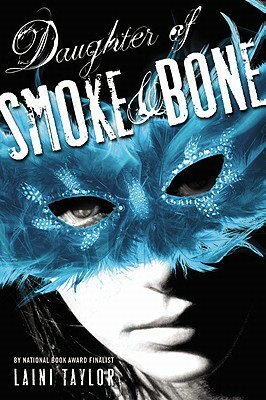 Laini Taylor is the New York Times bestselling author of Days of Blood & Starlight, Daughter of Smoke & Bone, the Dreamdark books Blackbringer and Silksinger, and the National Book Award finalist Lips Touch: Three Times. She lives in Portland, Oregon with her husband, illustrator Jim Di Bartolo, and their daughter, Clementine. Her website is www.lainitaylor.com. * "Lush description of a gothic and ghostly Prague beckons readers from the first page and fulfills its promise, leading to a star-crossed romance that spans worlds and transcends death...[Leaves] the reader both satisfied and eagerly anticipating a forthcoming sequel."